Growing up in Portland, Oregon, we spent a fair amount of time at the beach. For people used to beaching in California, Florida or along the East Coast, the Oregon Coast is a very different experience. Forget crowded boardwalks, sun-batching on groomed sand and swimming in the ocean (it's far too cold without a wetsuit). When I tell people this, they seem mystified as to what one would do while spending a weekend there. Plenty actually. Most obviously, the Oregon coast is stunningly beautiful, and a visit there should take advantage of that fact. Instead of being flat like much of the East Coast, the Oregon Coast is adjacent to a small mountain range--the Oregon Coast range--which shoots fingers of rock into the ocean at regular intervals, breaking the beaches into smaller pieces and introducing a wider variety of plants and animals into the area. 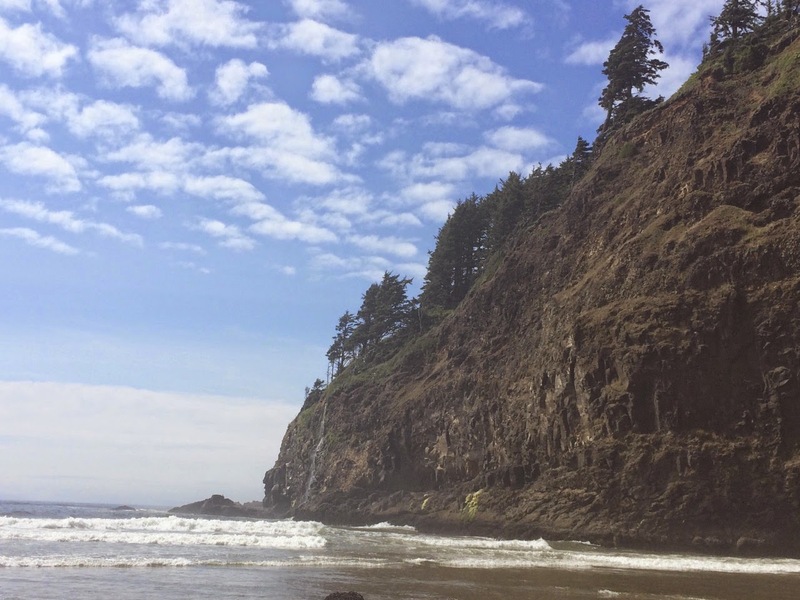 Although many Oregon beaches are lined with the typical beach grass and shrubs, it's not uncommon to see fir forests nearby or even extending all the way to the water in some places. 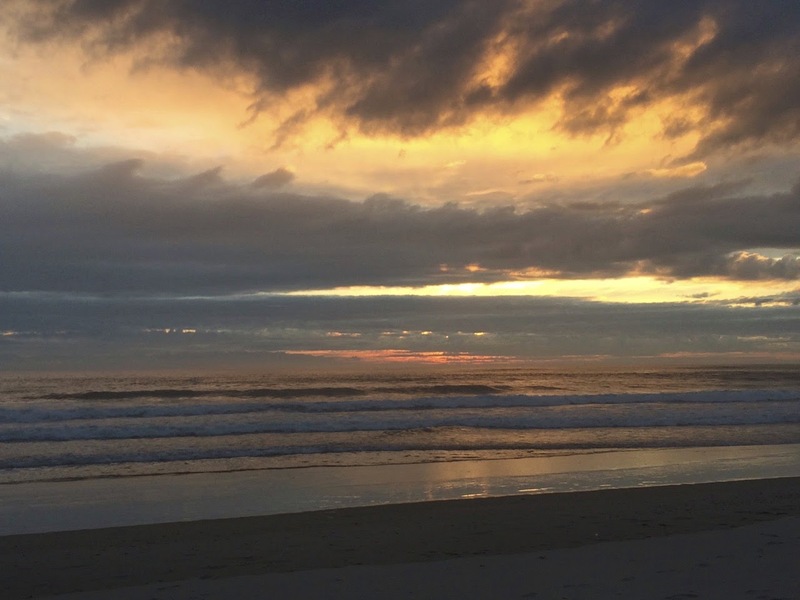 All this scenic grandeur makes for great walks along the beach or in nearby parks. You can also sit inside your beach house and stare at the ocean between breaks in assembling jigsaw puzzles and drinking local microbrew. It's a relaxing, meditative experience, especially if it's cold out. And cold it often is. Sometimes windy. Often rainy. So it's not surprising that a hearty warm soup like clam chowder is popular on the Oregon Coast. The best-known is from Mo's, a local chain that started in Newport, Oregon, but clam chowder is available in many other restaurants also. When I was in high school, we frequently got it from a small shop in the town of Rockaway Beach run by a mother-daughter team. Their chowder was so good. They served it with a slice of garlic toast, which made the perfect lunch. The clam chowder I grew up with is the New England style: thick and creamy with clams, potato, onion and celery. And often bacon. Mo's recipe includes bacon, and my mother always made it with bacon. 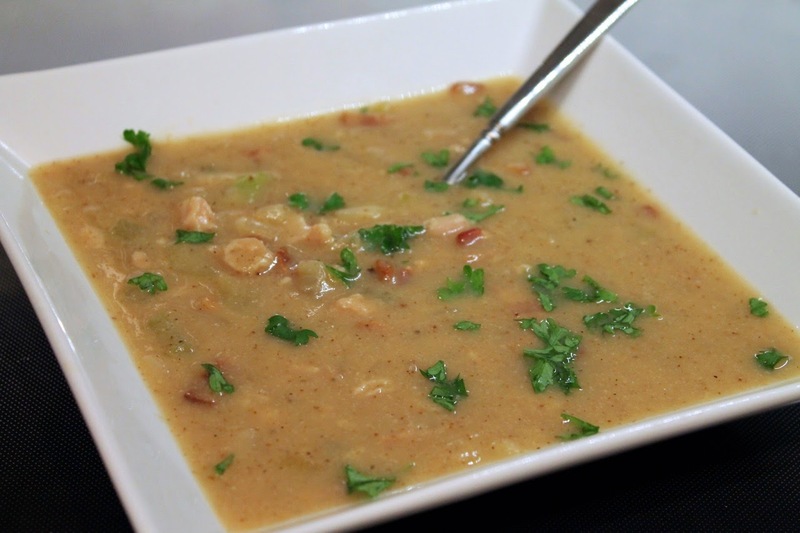 She often joked that it was "bacon chowder," since it contained far more bacon than clams. My mother made a thinner version of chowder than you'd get at restaurants, since she didn't like thickening it with cream and flour. While tasty, these ingredients pack on the calories. I wanted to make a New England-style chowder--with bacon of course--that was thick and creamy but thickened with something other than cream and flour. I could have gone with potato, although that keeps the carbs high. Instead, I thought about using cauliflower. 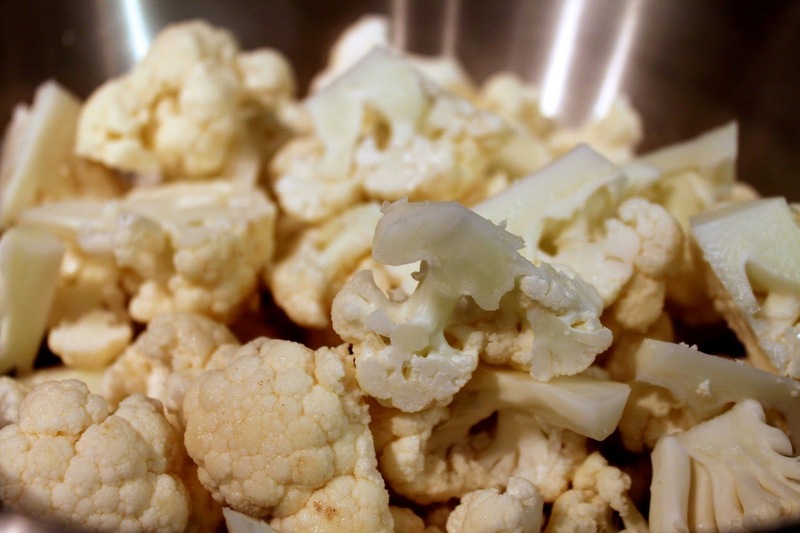 Low-carb dieters are familiar with cauliflower puree as a substitute for mashed potatoes. I wondered whether roasted and pureed cauliflower could thicken chowder while providing an additional welcome flavor. Turns out, it works great as a substitute not just for the cream but also potatoes. The chowder still had plenty of body and flavor with the base of bacon, onion and celery. It doesn't hurt that I used really good bacon. The best bacon, actually: the hickory-smoked bacon from Benton's that I adore. It just so happens that today is New England Clam Chowder Day. This cauliflower-bacon twist strikes me as just the ideal way to celebrate. Especially if you're lucky enough to be enjoying the day from the Oregon Coast. 1. 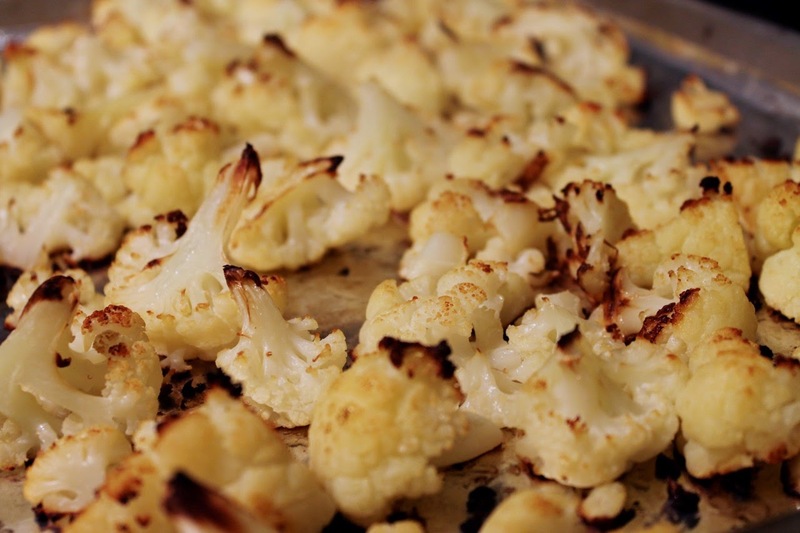 Preheat oven to 450 F. Cut florets from cauliflower head and chop florets as needed to pieces about 1 1/2 to 2 inches. Place florets in a large bowl. Drizzle with olive oil and sprinkle with kosher salt. Toss to combine. Spread florets in a single layer on a baking sheet. Roast in the oven until the florets have softened and are lightly browned around the edges, about 30-40 minutes, turning after 15 minutes. Allow to cool and refrigerate until ready to use (use within a day or two). 2. Combine the cauliflower florets with 2 cups of water and puree in a food processor or place in a steep-sided saucepan and puree with an immersion blender. 3. Heat a Dutch oven or large soup pot over medium heat. Add bacon and cook until browned and crisp, about 8-10 minutes. Remove bacon with a slotted spoon and set aside on a paper-towel-lined plate. 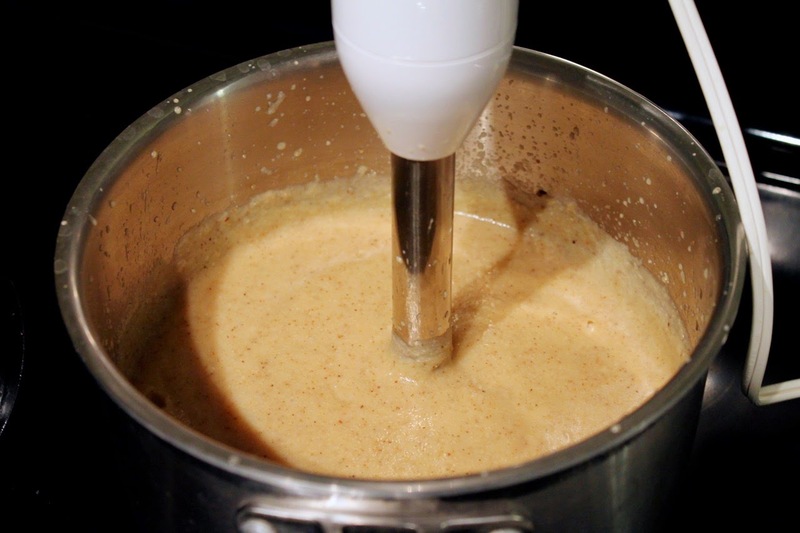 Drain off bacon fat in excess of about 2 tablespoons (leaving the 2 tablespoons in the pot). Add onion, celery and garlic and sauté until softened, about 8-10 minutes. 4. Add the crisped bacon, pureed cauliflower, chicken broth, bay leaf, thyme sprigs, pepper and liquid from canned clams to the pot, increase heat to medium-high and bring to a boil. Reduce heat and simmer for 15 minutes. Turn off the heat, add the chopped clams and stir to combine. Taste and adjust seasoning as needed. Serve soup in bowls topped with about a tablespoon of chopped fresh parsley.